Learn basic yoga poses and how to achieve proper form with this exercise video, which features two 20-minute routines. Appropriate for beginners and as a refresher course, both sessions provide detailed explanation and instruction in basic poses. 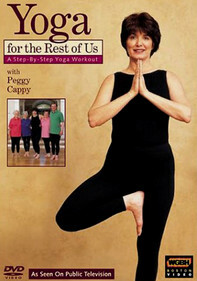 The program also explains how to link breathing with movement. Filmed on the transcendent island of Jamaica, Yoga Basics combines a physical workout with inspired relaxation.